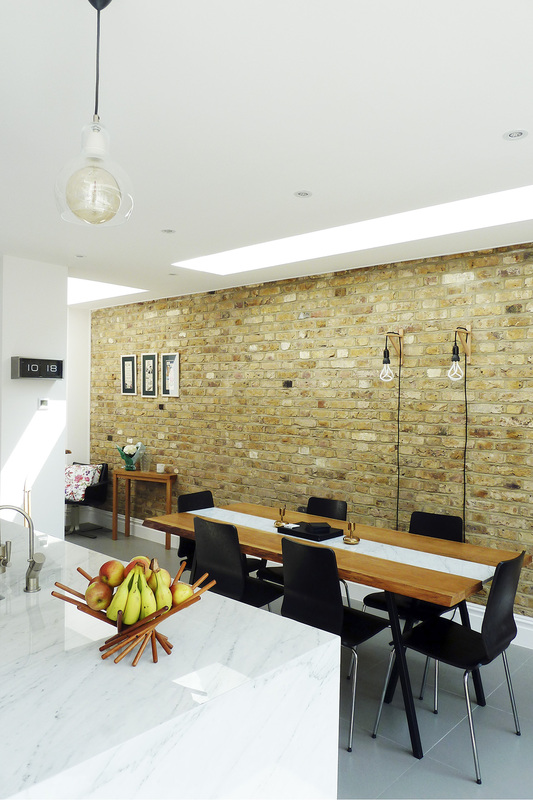 This Victorian terraced house in a Balham conservation area was in need of more space, light and a more modern flow. 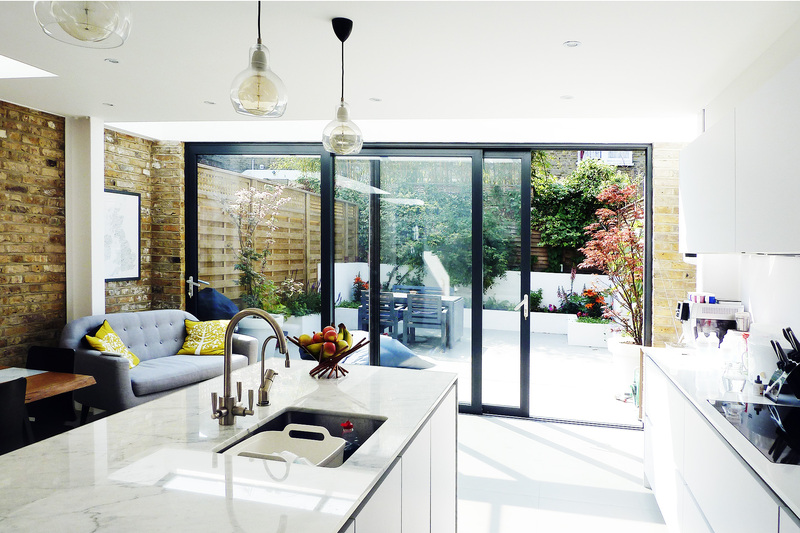 We completely remodelled the rear, reworked the interior and redesigned the garden as a connecting exterior room. 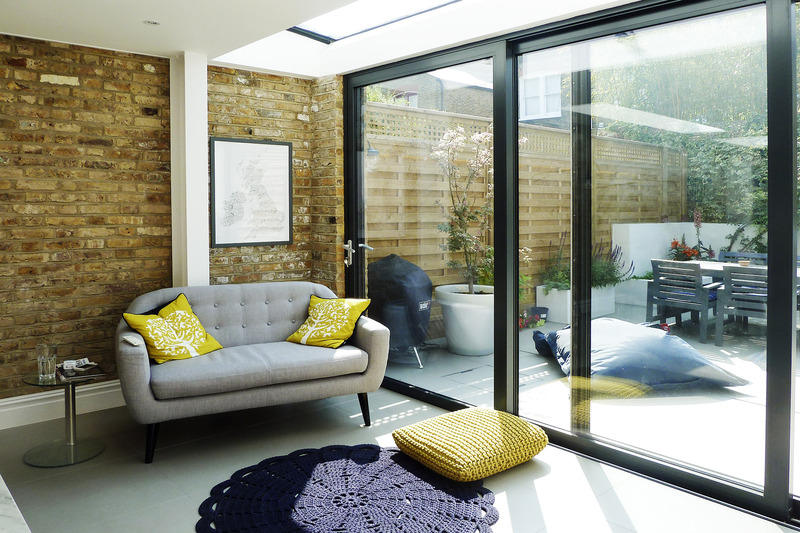 A single storey rear and side extension has delivered the extra living space the clients need. 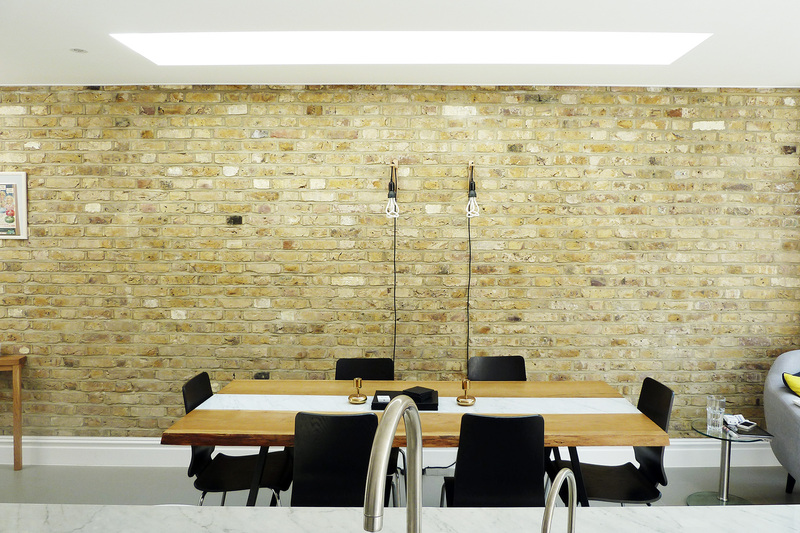 Inside we have created a new, industrial loft-style kitchen with a utility/larder and family room against a backdrop of exposed brick. Several skylights have been incorporated to make the deep room, and the connection between the reception space and kitchen, bright and sunny. 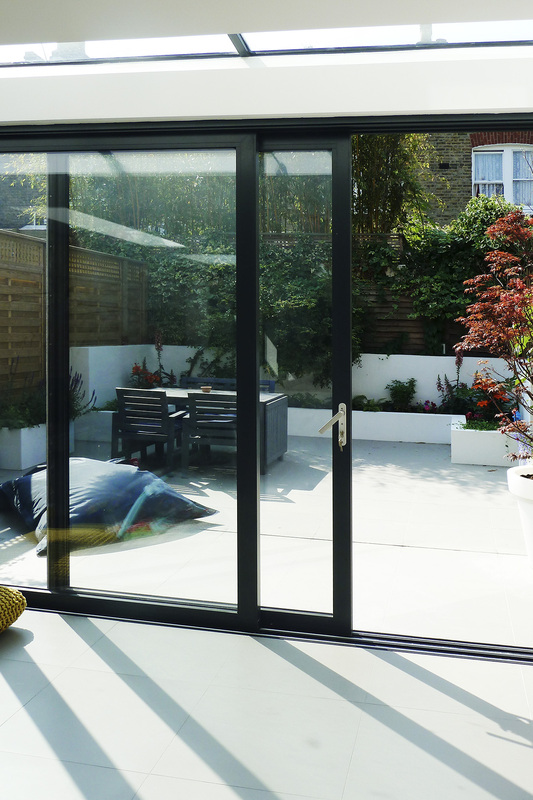 We used slim framed sliding doors to continue the open-plan feel into the garden, which we’ve remodelled in a contemporary style to create an outside room.